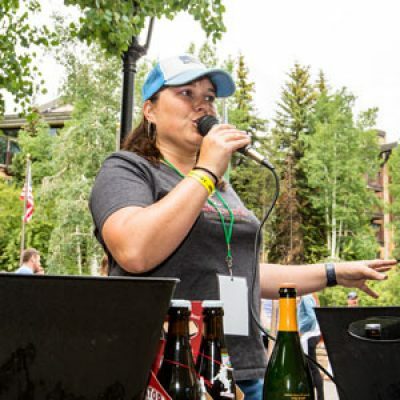 Thank you for your interest in joining the volunteer team for the Vail Craft Beer Classic, proudly supporting the Vail Valley Mountain Bike Association! The VVMBA supports a community of diverse participants that vigorously supports the maintenance and construction of sustainable mountain biking and hiking trails throughout Eagle County. *Volunteers receive a Festival volunteer t-shirt and discount on tickets. We need 50+ volunteers to assist throughout the weekend. Thank you for your support! These volunteers will work as a team to get the event facility ready, performing duties including, but not limited to: popping tents, setting up tables and chairs, moving product into place, setting up merchandise, beer mugs and ticket stations, hanging banners and signs, moving ice, placing trash cans. Please let us know in advance if you have any physical limitations. As this role can be fairly physical, we do have duties that are less demanding. Recommended clothing: your official volunteer shirt, pants or shorts to get a little messy in, supportive shoes and work/gardening gloves. These volunteers will work to keep the event running smoothly. Roles include, but are not limited to: welcoming and directing patrons, checking ids, assisting with will-call, taking tickets, distributing programs and mugs, and selling merchandise. 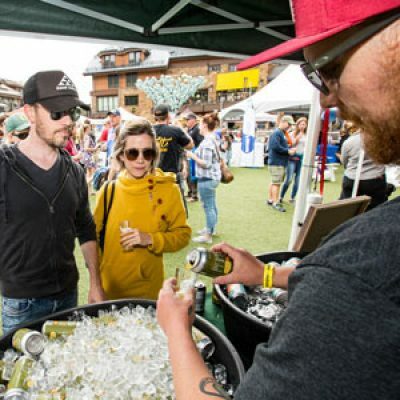 Volunteers will assist beer representatives in keeping tables clean, dumping spit buckets, emptying trash, replenishing ice, and breaking down tables, tents and chairs. Recommended clothing: your official volunteer shirt, nice pants or shorts, and comfortable shoes as you will most likely be standing for an extended period of time. These volunteers will work with the Classic staff to set and turn rooms for classroom-style seminars. Roles include: assisting speakers in distributing materials, pouring, cleaning glassware, taking tickets, and greeting patrons. Hours vary for this role on Friday and Saturday. Volunteer Applications Will Be Available in the Spring! Don’t miss a pint! 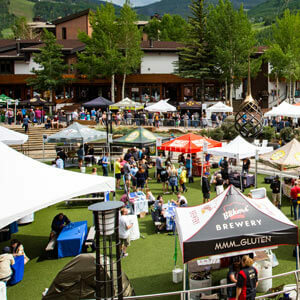 Subscribe to receive email announcements about the Vail Craft Beer Classic, including event and lodging information.